A development of six new buildings in Auckland’s trendy Wynyard Quarter precinct will feature the city’s first Travelodge branded property, TFE Hotels has announced. Construction will begin soon on the six-storey L-shaped building, with the Travelodge Auckland to offer 154 rooms and a ground-floor restaurant. A retail area and adjoining car park will also be a feature of the new hotel, which will begin welcoming guests from mid-2020. Travelodge Auckland will be situated in a precinct which is also home to many of New Zealand’s largest companies including Air New Zealand, IBM and Fonterra. The company says the new hotel will provide a mid-tiered accommodation option to a segment of the Auckland waterfront which attracts thousands of workers and visitors every week. First developed in 2011, the Wynyard Quarter district has a strong pipeline of retail and residential in its future, all due to be completed before 2021 when New Zealand hosts the next edition of the America’s Cup yachting competition. Infrastructure investment firm Infratil has partnered with TFE Hotels to construct the new outlet, while architecture firm Peddle Thorp Aitken was engaged to put together the hotel’s design. The new hotel will be the brand’s second Travelodge in New Zealand behind Wellington. TFE Hotels Chairman Allan Vidor said the new hotel is real action in a market that has been stagnant over the last few years, despite ongoing tourism growth. 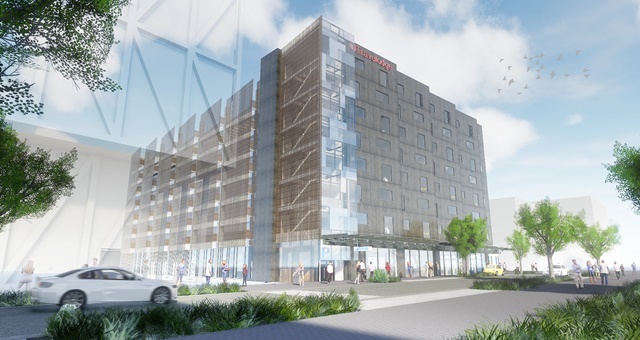 “Travelodge Hotel Wynyard Quarter will be in prime position to make the most of the increased volume of travellers to the city, and the future growth expected by the new development coming to the area – the NZICC in late 2019 and the America’s Cup and APEC Summit in 2021. “This will be an attractive, contemporary hotel in keeping with this world-class development on the western waterfront. It will add to the sense of vibrancy that is drawing thousands of visitors to the precinct each week for work and each weekend for its cultural attractions and retail and dining offerings,” Vidor said.